Side note: The 2019 conforming loan limits should be announced around December this year. Any loan amount that exceeds the base conventional loan limit would be considered a Jumbo Loan. Please see all the latest Jumbo loan requirements here. Veterans should also note that standard VA purchase loan limits for 2018 will mirror the conforming loan limits above. The exception to this is the VA Jumbo mortgage, this program will permit loan amounts up to 1.5mil for qualified/eligible buyers. 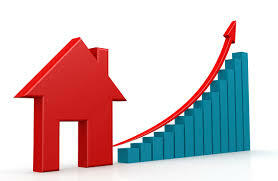 *FHA floor nationally is set at 65% of the conforming loan limit and can vary by county. VA limits the amount of guarantee for a zero down loan at the conforming loan limit. Jumbo VA loans above these limits require a down payment of 25% of the difference between the conforming limit and the sales price. USDA loans do not have a loan limit but are limited based on debt to income and household income limits. Questions about any of these programs? Please contact us at the number above for assistance.